I was the Local Young Water Expert at Brabant Water, where I performed as Sanitary Engineer in the FUTURAGUA project in Matagalpa. A cooperation project between various Dutch water entities and my local water and sewerage company ENACAL. My role is to be “the connecting bridge” between Nicaraguan and Dutch partners by facilitating the information and knowledge flow from both sides. The project focussed on scenario studies for water supply, Non-Revenue Water (NRW) reduction and optimisation of the existing waste water treatment plant. Ultimately, our main goal was to support capacity building and institutional strengthening of ENACAL, in order to achieve the sustainability of the water systems (drinking water & waste water). My overseas studies helped to shape me into a multi-cultural, energetic, activity-oriented and versatile young water professional. My competences can range from waste water treatment technologies, integrated water management, drinking water to environmental assessments. Education: MSc. in Municipal Water and Infrastructure with a specialisation in Sanitary Engineering at UNESCO-IHE, Delft, The Netherlands. My Master thesis research was done in Malawi on innovative and low-cost treatment approaches to effectively sanitise faecal sludge in the context of an emergency situation. 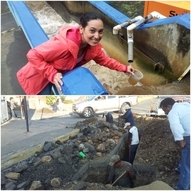 Post-graduate course in Urban Water and Sanitation at Universidad Nacional de Ingeniería, Nicaragua. BSc. 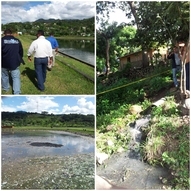 Environmental Engineering at Universidad Centroamericana, Nicaragua. Previous to my Master studies I worked for nearly two years in a small consultancy company. It focuses on design of decentralised water systems for the rural Nicaragua, hydrogeological studies and groundwater exploration. 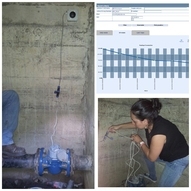 I performed as Environmental Advisor, doing environmental impact assessments and analyses for water supply projects supported by local governments and international cooperation.